Cook rice in fish stock and place into a bowl to cool. Add chopped egg, mushrooms, herbs, pepper, lemon zest and juice. 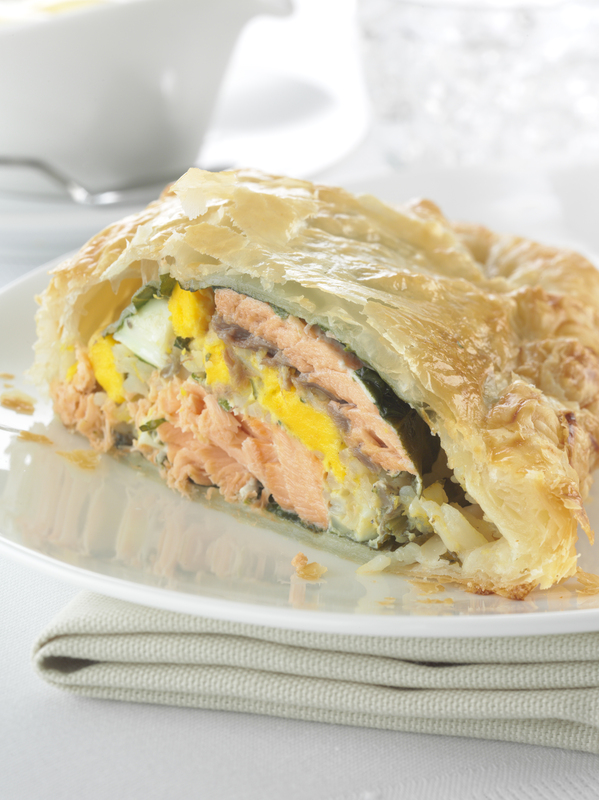 Lay out two pastry sheets and top with half the spinach leaves than one salmon slice, all of the rice mix than remaining salmon, spinach and pastry sheet. Crimp the edges of the pastry and brush with egg, bake in the oven for about 25 minutes or until golden and cooked. Slice and serve hot.